Pope Benedict XVI initiated the Year of Faith, but he is no longer leading the Catholic Church as this Year of Faith comes to an end. During the course of the year, he resigned on February 28, 2013 at the age of 85. The Papal Conclave elected the Cardinal Archbishop of Buenos Aires, Jorge Mario Bergoglio, on March 13, 2013 to become the first member of the Society of Jesus to be elected Pope, taking the name of Pope Francis. In the short time he has been Pope, Francis has radically transformed the way of being church. He has lived a life of simplicity and poverty, manifesting an open and accepting spirit to the world, open to dialogue and communication, pointing to the centrality of faith in Jesus Christ and discerning His Spirit in responding to the church’s mission. He has revealed his person and concept of mission in an extensive interview he gave to the major Jesuit journals around the world. When asked by the interviewer what the Church needs most at this historic moment , Pope Francis replied. I see clearly that the thing the Church needs most today is the ability to heal wounds and to warm the hearts of the faithful; it needs nearness, proximity. I see the church as a field hospital after battle. … The church sometimes has locked itself up in small things, in small-minded rules. The most important thing is the first proclamation: Jesus Christ has saved you. And the ministers of the church must be ministers of mercy above all. …. How are we treating the people of God? I dream of a church that is a mother and shepherdess. The church’s ministers must be merciful, take responsibility for the people and accompany them like the Good Samaritan, who washes, cleans and raises up his neighbor. This is pure Gospel. God is greater than sin. The structural and organizational reforms are secondary – that is, they come afterward. The first reform must be attitude. The ministers of the Gospel must be people who can warm the hearts of the people, who walk through the dark night with them, who know how to dialogue and to descend themselves into their people’s night, into the darkness, but without getting lost. The people of God want pastors, not clergy acting like bureaucrats or government officials. 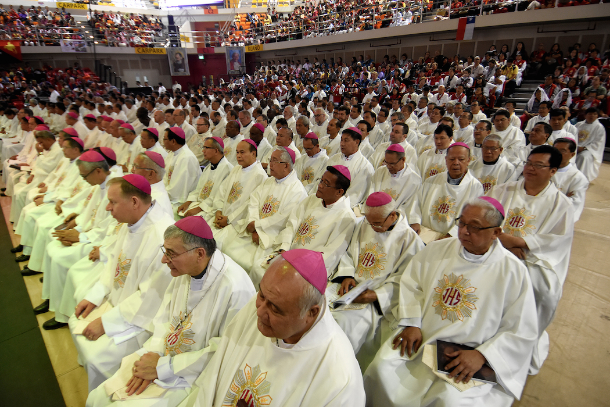 The bishops, particularly, must be able to support the movements of God among their people with patience, so that no one is left behind. But they must also accompany the flock that has a flair for finding new paths. Instead of being just a church that welcomes and receives by keeping the doors open, let us try also to be a church that finds new roads, that is able to step outside itself and go to those who do not attend Mass, to those who have quit or are indifferent. The ones who quit sometimes do it for reasons that, if properly understood and assessed, can lead to a return. But that takes audacity and courage. … We need to proclaim the Gospel on every street corner, preaching the good news of the kingdom and healing, even with our preaching, every kind of disease and wound. On November 24, 2013. 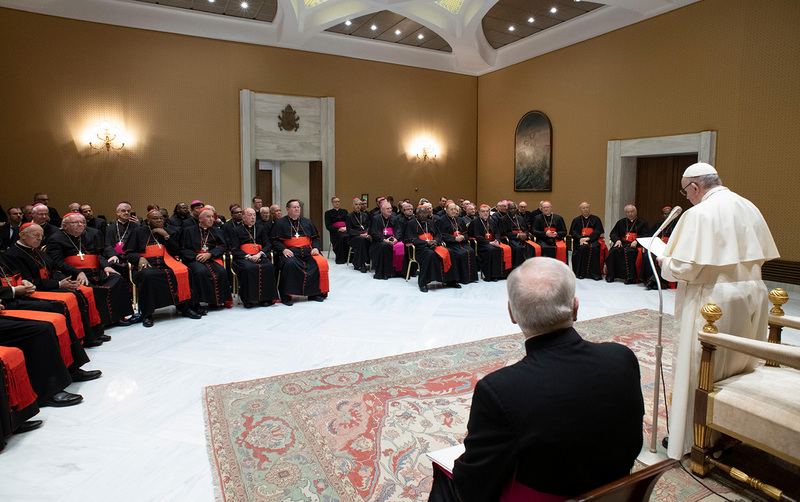 Pope Francis ended the Year of Faith by issuing the Apostolic Exhortation, Evangelii Gaudium, (The Joy of the Gospel), his reflections on the Synod of Bishops on the New Evangelization. What a wonderful transformation taking place in the Catholic Church in this remarkable Year of Faith. Pope Benedict XVI, Porta Fidei,The Door of Faith. 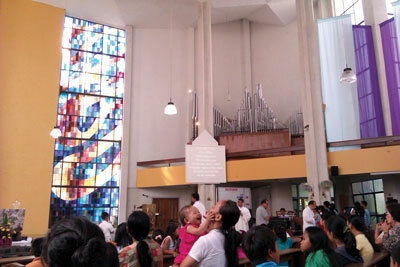 Apostolic Letter on the Year of Faith. Rome, October 11, 2012. No. 2. Antonio Spadaro, S.J., “A Big Heart Open to All, the Exclusive Interview with Pope Francis,” America Magazine (September 30, 2013) 15-38. Renee Schafer Horton, “I Confessed Thanks to Pope Francis,” October 10, 2013. 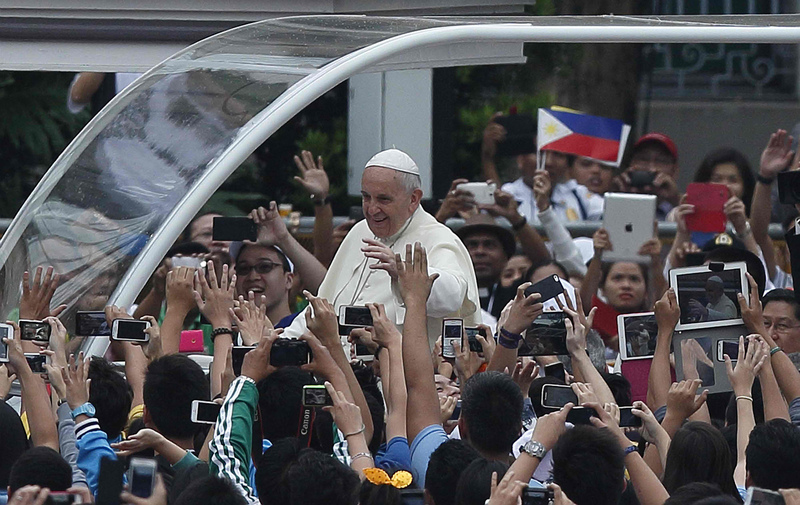 Ateneo de Manila University Mail: MY CONFESSION AND POPE FRANCIS. Pope Francis, Evangelii Gaudium (The Joy of the Gospel), Rome, November 24, 2013. Pasquale T. Giordano, S.J. is Associate professor in the Theology Department of the Loyola Schools of the Ateneo de Manila University. He has written expensively on integral evangelization, moral theology, and Ignatian spirituality.